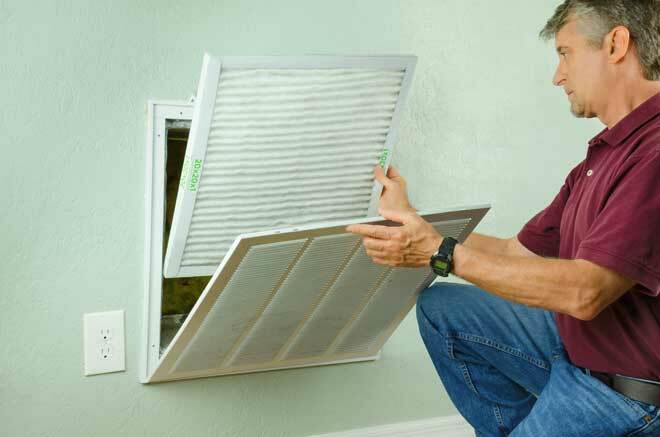 All HVAC systems include a furnace filter, but many homeowners are also purchasing air filters for their vents. These optional filters are bought in sheets which may be then cut to fit both register and air return vents throughout the house. While helpful, vent filters are not ideal for all homes and may or may not be worth the investment. As with any optional component of an HVAC system, vent filters have both positive and negative qualities which may affect whether they will benefit your home. Knowing these qualities will help you make a more informed decision before making a purchase. 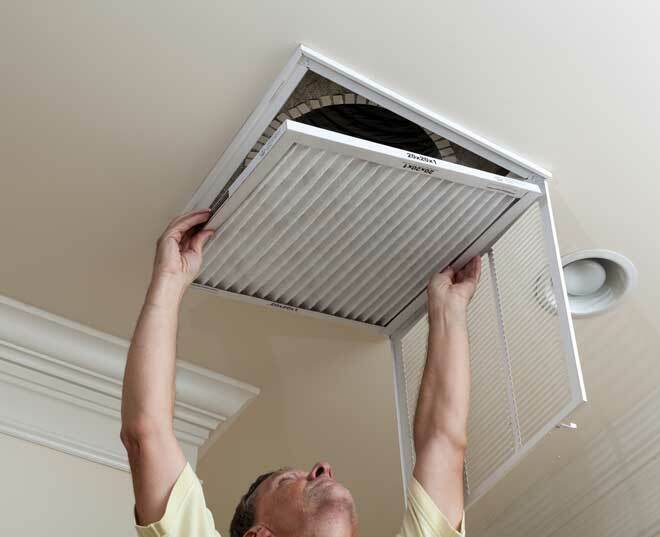 Adding vent filters to your home serves as an extra line of defense against dust and allergens. These particles can enter the ducts through cracks and bypass the main furnace filter. Dust can also accumulate in the vents during periods of inactivity, further polluting your home. The biggest drawback of vent filters is restricted airflow. Filters slow the passage of air. As particles build up on them, the amount of obstruction increases. This can cause your system to work harder, using up more power and potentially overheating components. In addition, these filters will require regular changing, just as your main filter does. This, in turn, requires you to access each vent that contains a filter several times per year. While that might not be difficult in some cases, it can pose problems when the target vent is in a difficult-to-reach location, such as high on a wall above furniture. When choosing a vent filter, you should always aim for a MERV (Minimum Efficiency Reporting Value) rating of 6 to 8. The lower the number, the less air is obstructed, although it will also allow more particles through. This rating scale is an industry standard and is an excellent way to balance filtration and airflow restriction. While air filters for your home may have a MERV rating of up to 13, MERV 8 is the highest recommended for vent filters. These filters still allow for good airflow, but are approximately 20 times more efficient than fiberglass filters, making them an excellent choice for homes where family members smoke or people are more allergy-sensitive. However, these do not eliminate all allergens, only large-particle ones. Are Filters Right for Your Home? Air filters can make a big difference in some situations, but do not always solve air quality problems. Air quality can be caused by a number of sources, and your furnace filter does a good job of protecting from airborne particles under normal circumstances. Vent filters can be an excellent way to augment your main filter, and are useful for homes where your HVAC system remains off for much of the year. In such places, the filters help to reduce dust accumulation in the vents themselves. This may also help reduce the heated dust smell which occurs when your furnace is first turned on after sitting for a long time. While they cannot eliminate the problem entirely, vent filters can also help reduce airborne allergens such as pet dander and pollen. These particles normally get pulled into the return vents and are caught in the furnace filter, but they can also be pulled into cracks in your ductwork and forced into rooms through the registers. Sometimes, using vent filters in an older home is no better than placing a bandage over a broken bone. The ductwork may accumulate holes or cracks over time, and seals can break. A common symptom of this is a home where rooms gather dust quickly, while the furnace filter stays relatively clean. In such cases, vent filters can catch a large percentage of particles, but the leaks in your ducts will also be impacting your heating bills. Getting the ductwork checked and repaired is the best solution and may prove cheaper long-term. Another problem in older houses is often the furnace itself. Furnaces must be fed air in order to keep from overheating or struggling to remain active. In such cases, adding filters to your air returns may reduce the amount of airflow enough to affect the furnace. Making sure you have a filter with a MERV rating of 6 may help reduce the number of pollutants reaching the main filter from the house, but vent blockages or other problems may mean even these low-density filters can choke your furnace. If you are unsure whether filters in the return vents will affect the furnace, it is best to either call a professional or avoid them altogether.